The spring athletic season at Second Baptist School has proven to be as exciting and successful as other sports seasons of the 2017-2018 school year! 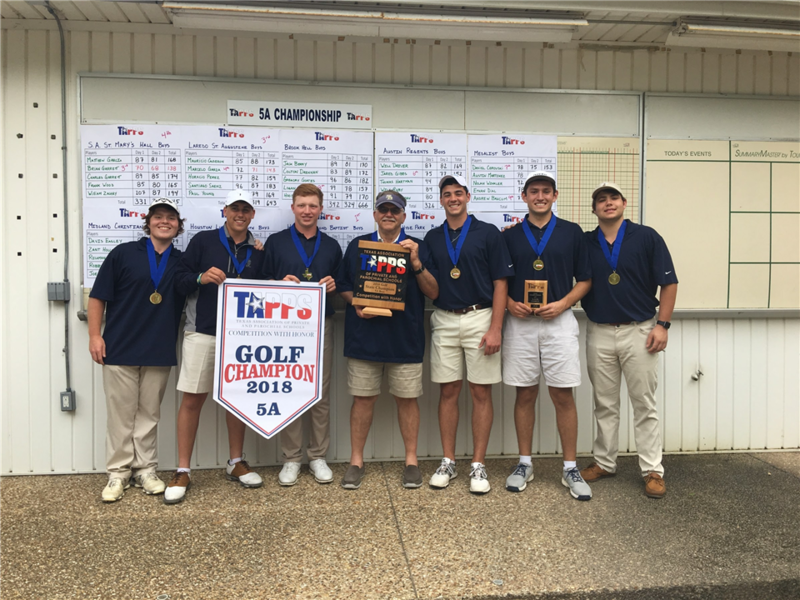 In addition to the playoff games our teams attended, the varsity men’s golf team brought home a state championship with an individual title won by Travis Vick ‘19. Led by head coach Johnnie Butterfield, the SBS golf team has made it to the TAPPS State Golf Tournament 10 years in a row. This is the first time bringing home a championship after several years of being one of the top five teams. Join us in congratulating our talented and hard-working student athletes on all they have accomplished during the spring 2018 athletic season.